Smelling faintly of Tommy Wiseau, Richard La Ruina glides to center stage, but not half so smoothly as he seems to think. Lord of Deceit, Hunter of Püss, and (self-proclaimed) world’s best pick-up artist (PUA) is here to transform you into a Super Seducer. You might lack his suave English accent, groundless confidence, and piratey good looks, but as long as you can virtually master the art of manipulation, you don’t need them anyway. 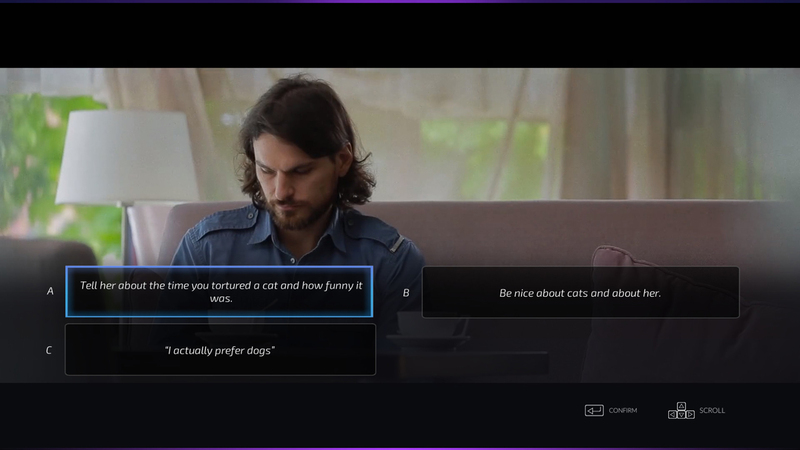 Super Seducer is either self-aware or a living meme. It’s hard to tell. Players take on the role of Richard the IT guy, who is of course acted by La Ruina himself. His mission is to teach players how to attain the woman of their dreams by imparting various PUA routines and strategies. The game can hardly be called a game. It reminds me of a book I once found crammed in the darkest corner of a used bookstore. It was written by Fabio Lanzoni. On its cover, a painting of Fabio entwined with a woman whose head is thrown back. She is in sheer ecstasy at being in the arms of this bronzed and glorious manmeat. The protagonist’s name? Fabio. The book’s hidden treasure? A fold out of Fabio reclined on a rock in nothing but a leather holster. Fabio is to the romance novel as Wiseau is to cinema as La Ruina is to games. You might recognize the medium the story is being told in, but you’ll also realize it's not a story. It’s the creator’s exercise in masturbation, and you’re being invited to watch. Each level features a different woman to woo — the kind and demure charity worker, the sternly reserved professor, the sassy and buxom foreign beauty. Their half-baked personalities exist only for the sake of variety and surprisingly don't affect the gameplay. No matter what a character is like, the same PUA strategies are used to successfully conquer her. Players navigate through the levels by choosing how Richard ought to engage with the ladies. These scenes are intercut with commentary from Richard himself, now in an unbuttoned suit with hipster glasses and beard polished to a glowing luster. If you make poor choices, he appears alone with a brokenhearted icon. If you choose well, you’re rewarded; he is flanked by two women who sprawl on the bed wearing nothing more than their undergarments. They stare emptily offscreen with a lot of lip-biting and eyelash-batting, but you can tell they regret answering the casting call. Richard then makes some comments about how to interact with women that are vapid at best and offensive at worst. The idea is that as you fail and learn from your mistakes, you become well-versed in the art of seduction through tips and tricks. Tips like “in most cases, it’s good to be honest.” Or, “never approach women from the side, but head-on so she can’t shrug you off.” And, even though it’s an option at least once on every level, don’t ever whip out Big Richie because girls don’t like that. 1. Be like [her current boyfriend] but better. 2. Be rude to her for as long as she’s in a relationship and then become invested in her when she's single. 3. Bring her a $12 bottle of wine* and hide the condom in your shoe. *The wine is the only option that will get you laid. Champagne and cumquat trees are apparently mood-killers. Misogyny aside, the game flops. The editing is choppy and often cuts from scene to scene while characters are still talking. The audio is janky, the music is redundant, and the character interactions are all awkwardly stilted. After the first few levels, you’ve seen all there is to see. Approach someone and make conversation by choosing from a few viable options and a few outlandish ones. Rinse and repeat. Initially, the ridiculous choices are kind of funny in that they’re outrageously inappropriate. (“No, you’re really pretty. My friend Mahmud said he wants to j*zz on your face.”) Other jokes fall flat, in which case all you’re left with is the uncomfortable situation of sexually harassing someone. Even if you try to play the game seriously, you lose. The “choices” you click on don’t accurately reflect the course of the dialogue. For instance, when one girl tells you about how much she loves her dog, you have the option to “tell her you have a fish.” Seems straightforward enough. Richard then launches into a three-minute soliloquy about his aquarium, its automatic feeder, and the personalities of each fish. For a live action simulator meant to provide a kind of education, the game isn’t even remotely grounded in reality. Mission Failed. 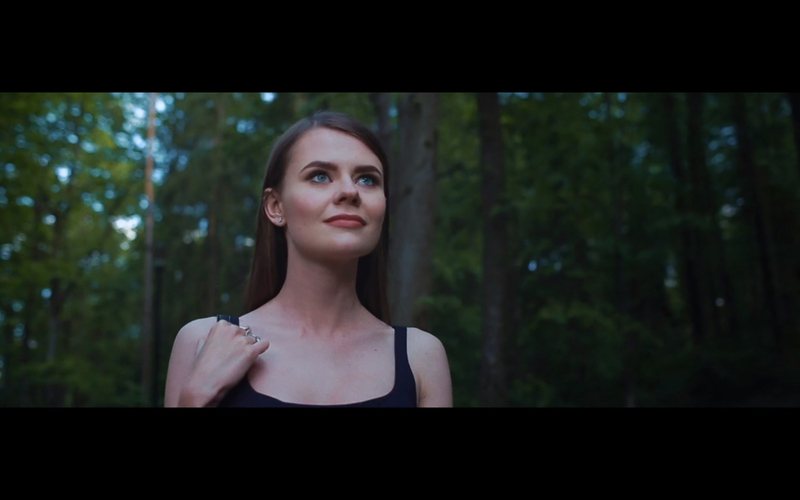 Super Seducer promises to impart psychologically sound principles of seduction. If your goal is to never have an interaction beyond your basement, this game delivers. Otherwise, its only function is to give players a few laughs and severe second-hand embarrassment. Alternatively, it could be turned into a drinking game with your buddies: Take a shot every time the camera goes out of focus, the acronym “PUA” is said, or there’s an opportunity to whip Big Richie out. Half-bald and wholly irreverent, Chiara is a content writer armed with black coffee (i.e., mana) and a library full of games that she might never finish— mostly because she gets distracted by side quests and lore. Her favorite place in this world is Thailand, where she taught English and studied Muay Thai for eight months, and her favorite place in not-this-world is Tamriel, where she’s logged an unmentionable number of hours. When she’s not leveling up in-game or in real life, she’s wondering why the Fade not.